Niagara IceDogs (4-2-1-0 | 9pts) vs Barrie Colts (4-4-1-0 | 9pts) 7:370pm. 1) Tonight’s game marks the second between these two teams, and the second game in three days against the Colts. 2) In Thursday nights’s 7-2 defeat of the Colts, Akil Thomas collected 5 points (2G, 3A). This was his second 5 point night of the season. 3) Ben Jones (4G, 6A) – Kirill Maksimov (8G, 5A) are currently on 7-game point streaks. Ivan Lodnia is currently riding a 4-game point streak (1G, 6A). 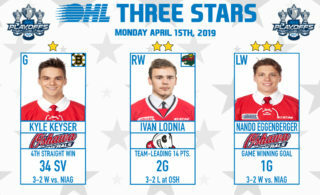 4) ‘Dogs forward Bradey Johnson continues ranks third in the league with 2 game-winning goals, having been scored in our 3-1 win over Kingston, and our 6-1 win over North Bay. 5) Kirill Maksimov is ranked 3rd in the league with 8 goals, 4 of which coming on the powerplay. His powerplay goal on Thursday in the 2nd period gave him the league lead in powerplay goals scored. 6) Akil Thomas ranks third in the league with 10 assists, 5 of which have come on the powerplay. His assist on Jones’ powerplay goal in the 2nd period in Thursday’s game against Barrie gave him the league lead in powerplay assists. 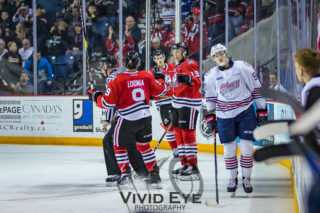 7) The IceDogs have the 1st ranked away powerplay, with 36.4% efficiency, and the 18th ranked away penalty kill, with a 68.8% efficiency rating. 8) The Colts’ home power play ranks 8th with 27.8% efficiency, while their home penalty kill is ranked 11th with 86.4% efficiency. 9) Barrie’s Ryan Suzuki leads the league with 17 points thus far in the season, 13 of his points have been assists (5 of which coming on the powerplay). 10) Ben Jones is expected to dress in his 200th career OHL regular season game tonight in Barrie. This evenings game will be broadcast live on YourTV and OHLLive. Listen live to Ted Lehman’s call on 610 CKTB. 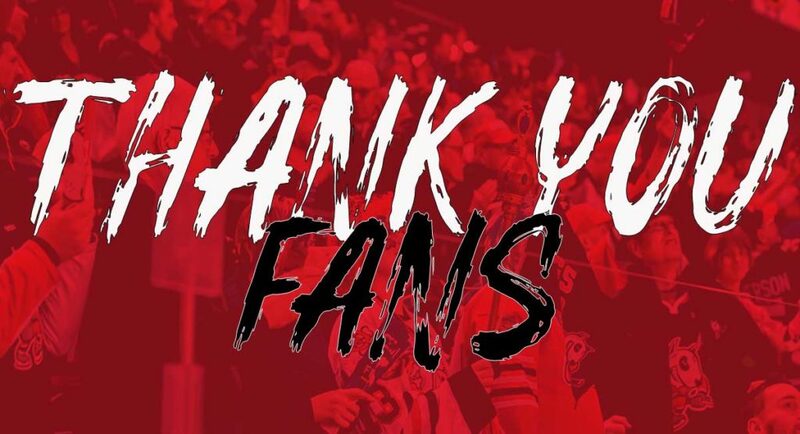 For all in-game updates, follow @OHLIceDogs on Twitter. 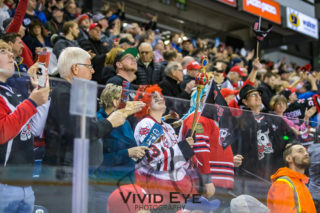 The ‘Dogs are back in action at home on Thursday, October 18th, as the Ottawa 67s come to town. Take advantage of our $10 Fall Thursday deal! For every Thursday night game in October, November and December, we are making hockey more easily accessible with $10 tickets in our Value section (sections 108-111)!